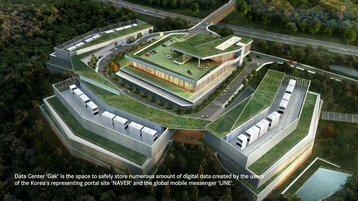 South Korean cloud giant Naver is planning to spend 480 billion won - around $420 million - on a massive data center in Yongin, just south of Seoul. According to Platum, the facility will start offering public cloud services in the second half of 2020. Naver, often referred to as ‘the Google of South Korea,’ was established in 1999 as the first Korean web portal to develop its own search engine. The company has been successful at keeping its competitors at bay by fusing the latest technologies with decisively Korean aesthetics. It also enjoys informal support of the Korean government. 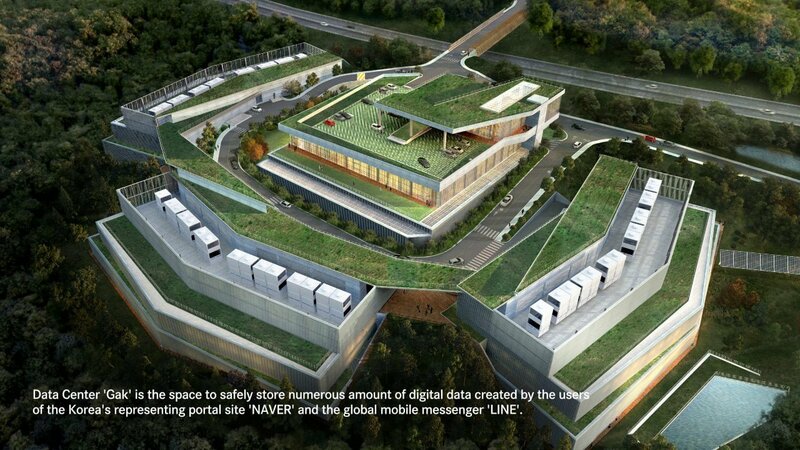 Naver was the first Internet company in Korea to build and operate its own data center, the ‘Gak’ facility (pictured left) in Chuncheon, Gangwon Province. It was designed to resemble traditional rice terrace farms and is listed in our Top 10 beautiful data centers. Now, the company is expanding with a new facility built to power the public cloud platform it launched in April. Naver Cloud Platform already offers 30 basic infrastructure services related to computing, data, security and network, and promises to be price competitive with both AWS and Microsoft Azure. The land for the upcoming data center has already been acquired, and the project is expected to cost a further $420 million over three years.